5 Haunted and Creepy Places in Indonesia - Are you afraid of supernatural beings like ghosts? If not, have you ever gone to a place famous for being haunted? Talking about it, if you have never been to famous places it will be terrible. You are not yet called brave, because the following places are famous for being haunted and stories of the past are very terrible. What's more, these places are right in Indonesia. Lots of mythical stories about the beginning of the existence of this terrible place. Are you brave and curious about creatures - magical creatures like ghosts? Now here are the 5 most haunted and horrible places in Indonesia! Check below. You must have or heard about the popularity of the city of Bali. But, do you know, there is also a place of mystery and haunted on the island. The place is named Lake Bedugul and the amount of fog that surrounds the lake as if giving a sign that there are spirits waiting for the lake. Some say that this hotel was built by Tommy Suharto, some say that this place was once a place of cursing. If you are a brave person, it is said that you can see one or two apparitions of spirits that roam in the hotel. For the record, this hotel has never been opened to the public, so it is certain that no one stays in the hotel. Have you ever ridden a train at the biggest station in Indonesia, Manggarai? In fact, this station was once made a very terrible film that was released in 2008. The station is famous for its haunted, which made many accidents in the surrounding area and its own train lines. Of the many train accidents that occurred, one of the worst was the train accident that occurred on 19 October 1987. Where 2 trains collided with each other and the result of the accident claimed more than 100 lives. Since the accident, there have been many scary events at the station. One of them was a student who claimed to take the night train. He claimed that he felt very tired after arriving at his destination station. The station clerk said that there was no train on duty that night. And the student is said to walk alone along the railroad tracks. For those of you who want to travel to the city of Semarang, you certainly need to know this place. 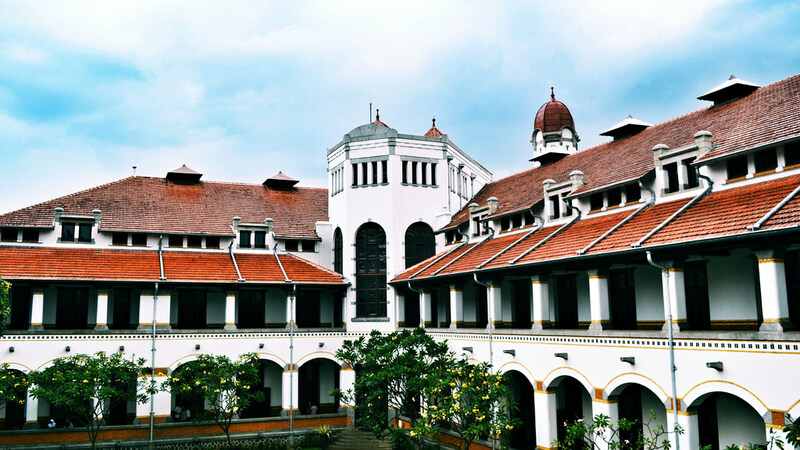 Lawang Sewu is a famous most haunted place that you can meet when going to the Semarang area, Central Java. 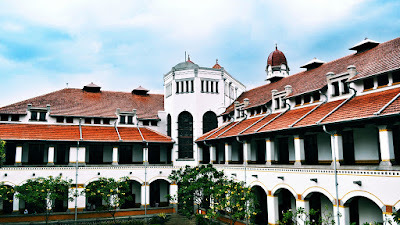 Lawang Sewu has also been repeatedly used as a place of testing for people who claim to be brave. Established in the Dutch colonial era, this historic building is a high-tech building with a unique architecture. Lawang Sewu was used as a place to lock in prisoners. There, many prisoners were tortured and beheaded. One of the ghosts of the residents of Lawang Sewu is the ghost of a woman who committed suicide to escape the sadistic torture committed. The fourth is the Complex Monument in the city of Malang, which is the most haunted place for the citizens of Malang. No one dares to go around this haunted place. Let alone yourself, even though we can still feel its awesomeness. Located in the middle of the city, Tugu Kompleks is a historical monument that has been established since the era of the second world war. This monument is used as the headquarters of Japanese forces. In this place a subway station is made. Spread horror stories say there used to be 2 students trying to explore the tunnel. But one of the students shouted hysterically out of the tunnel. The other student was found the next 2 days in a terrible state. Have you ever heard of the story of the legend of the South Coast Queen? The South Coast Queen is said to be the queen who became the ruler of the south coast. The queen who was said to have this extraordinary beauty led the magical kingdom on the south coast. That's a glimpse of the legend that is at Pelabuhan Ratu, Sukabumi. The beauty of Pelabuhan Ratu is no stranger to many people. Because beauty is what makes this place one of the tourist destinations. But there is a prohibition that should not be done in this place, namely never wear green clothes. Already many people are said to be victims because they wear green clothes. The green color is identical to the color of the South Coast Queen named Nyi Roro Kidul. If you want to see haunted and scary stories, you can visit the My Simple Tricks site. Well those are 5 places that are famous for being haunted and very terrible in Indonesia. Have you all felt a strange feeling when visiting this place? If you plan to go there, you should first know about the past or the dark story of the place first.